As the graph above shows, donors like the US and South Korea (in percentage terms, relatively ungenerous compared to other rich countries) tend to have the least effective aid, at least as measured by what the donors themselves consider to be important. 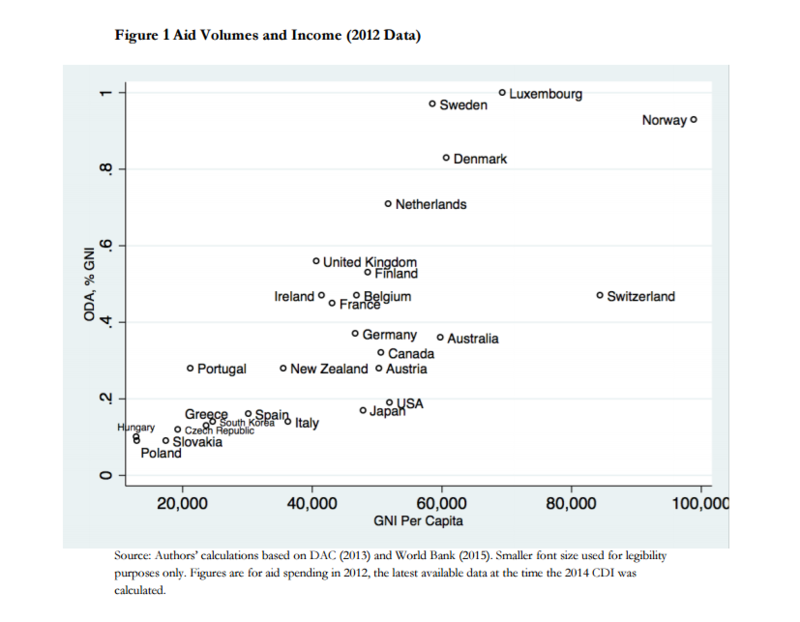 Generous donors - notably the Nordics and the UK — tend also to be effective. 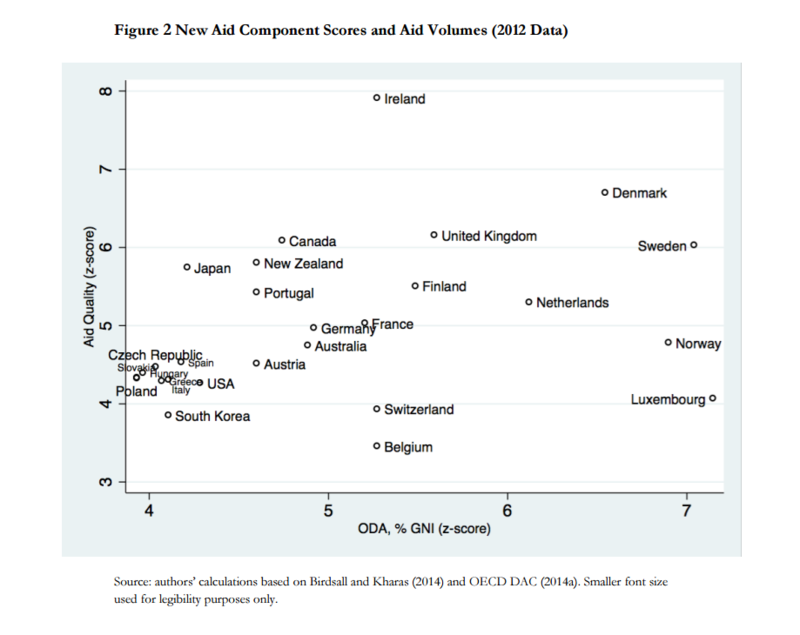 And there is room for improvement: for any level of aid spending as a share of national income, there is significant variation in how well that aid is spent. 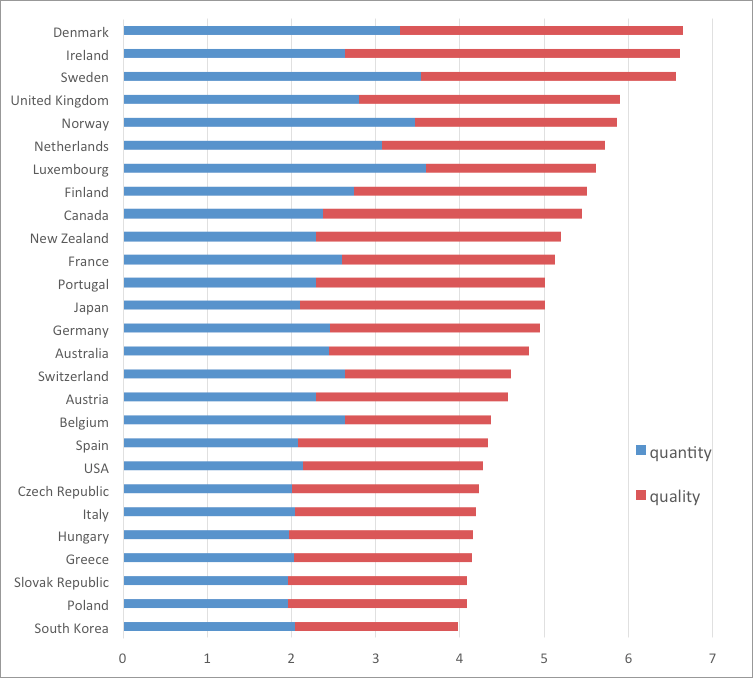 Belgium and Ireland give similar levels of aid as share of national income, but according to our numbers Ireland’s aid programme is the most effective and Belgium’s is the least. This means that countries can (and should) both meet their international obligations to invest 0.7% of GNI as aid, but also work on improving the quality of the aid they spend at whatever level of spending is politically feasible.